The majority of households have a common story in relation to the use of water. What most people think is that the water they consume should be filtrated while that coming out of other sources does not necessarily need to be filtered. If you are of the same opinion, you must know the relevance of water in daily life and their diverse uses. To be precise, you not only need water to drink or clean your car but it is largely used in preparing food, bathing, grooming babies and what not. So, how would it be if you can have a whole-house water filtration system? Will it not be amazing if you can get filtered water from showers, toilets, kitchen, laundry and all other sources in your house? Understanding the concept of a whole house water filter is not complex at all. It is an advanced water filtration system that gives you purified water from multiple sources in your home. What it needs is a simple connection with the prime water line that makes way to your house. This is done so that each and every dispenser present in your house gives you the best quality water. Be it toilets, baths or kitchen, the whole house water filter will bring you crystal clear water from everywhere. 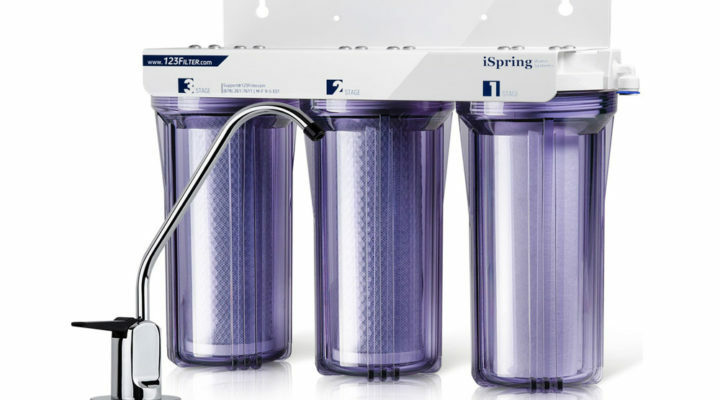 Unlike other filters, the whole house water filter directly connects to the house’s home plumbing system and instantly removes chlorine and other unwanted chemicals. As a result, these are not exposed to the air and instead get filtrated out. Furthermore, this keeps your clothes safe and even helps a lot in dishwashing. Besides, we keep falling prey to the aftereffects of harmful chemicals in the air, food and majorly water. In this process, people may gradually lose their immunity system, especially the kids and elder ones. With a whole house water filtration system, therefore, you can put an end to all these deadly possibilities forever since the filtrated water coming out of these filters will assure the good health of each and every member in your family. The very first thing you have to clear before choose a whole house filter, for which reason you need a filter. Cleary speaking, what are the substance that you especially want to remove from your water. There are lots of contaminate, dust, arsenic, chemical, sediments, unwanted iron lived in the water. You might already know that not every filter work for every purpose. So before choosing a whole house water filter to find out what is in your water. For doing so you can simply send the water to your nearest lab for exact result. Besides, you can also test by yourself by using a water testing kit. The thing is before to buy you must have to test your water quality. After knowing your water quality it becomes easy for you to decide what type of water filter you need. Generally, three type of whole house water filter available and they are- Carbon filter, Reverse osmosis and Distillation. Carbon filter basically found in under sink filtration system. Where Reverse osmosis is a modern filter that able to kill 99.9% of contaminate from the water. Therefore the distillation filter just pure your water by boiling it and there has no any exception. However, when you find out the water quality this step becomes easy for you. Of course, it is important for you to know how many gallons of water per minute will be delivered by the filter. There will be multiple sources like dishwasher, toilet, shower, water heater and more from where you will require water in good amount daily. So, just make sure that your whole house water filter has a GPM of over 10, or otherwise, you are sure to have interruptions. If you have a big home, go for a flow rate of 25 GPM. Having the right filter size is extremely essential. In fact, it would be beneficial if you aim for bigger filters. The bigger the size is, the higher the volume of water and the greater the flow. Well, if your filter size qualifies a dimension of 4.5 x 20 inch, it would do well. A filter’s longevity actually depends on both the quality and quantity of the sediment. This is a big reason why most homeowners go for stand-alone filters with carbon beds. These really last long, especially if they supported by a backwash cycle and a backwashing valve. The water filter’s port size is essential to measure as it matters in terms of pressure and GPM. Ideally; 1-inch should the port size of a whole house water filter. So, if this 1-inch port size and 4.5 x 20-inch filter size combine, you will certainly not have to worry about such filters as these would carry sufficient water and help you meet multiple requirements with ease. So, you see why it is useless to waste both time and money for buying individual filters in each room. Just spend once on a good quality whole house water filter and enjoy receiving the cleanest of waters from all possible resources at home.